The world’s leading soil scientists met at Argonne recently to discuss the importance of what’s under our feet. With funding support from the National Science Foundation (NSF) and hosted by the University of Chicago, 22 leading researchers in the fields of soil science, microbiology, computational biology, sensors and nanotechnology recently gathered at the two-day Microbiome Soil Sensors Workshop in August to create a roadmap for measuring microbial activity in the soil. Why focus on soil? Soil supports ecosystems that are critical to life, and provides a habitat for billions of organisms. 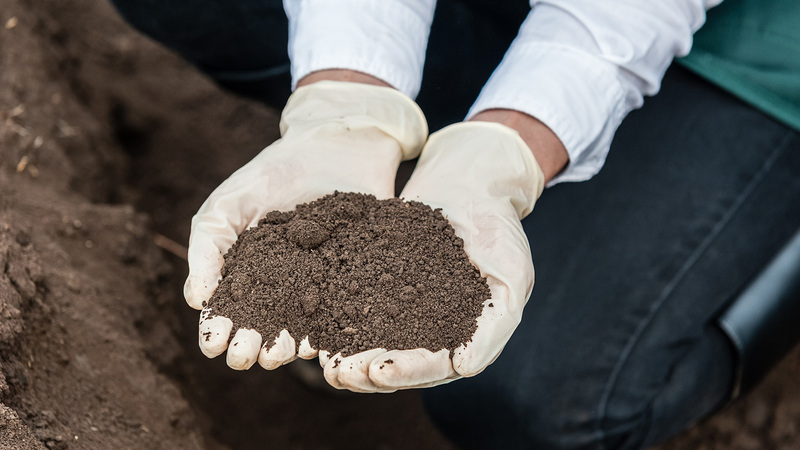 According to Supratik Guha, director of the Center for Nanoscale Materials and professor of molecular engineering at the University of Chicago, the key to developing better soil models is to generate better data. ​“There’s been an explosion in sensor networks, and science can benefit from that,” he said. At the workshop, broad consensus emerged concerning the need for context in taking measurements. In scientific terms, context refers to the need to produce more accurate measurements of soil microbial processes in order to improve understanding of how microbial interactions are shaped by the physical, chemical and biological properties of the soil. The workshop participants also discussed the need to perform investigations of microbial communities at different scales, which include spatial, temporal and molecular. Creating data at multiple scales will require new models that mathematically integrate different data at nested levels, linking everything from a cell’s biochemistry to its influence on global processes. Finally, the group addressed the next stage of needed technological improvements. With technological advances having already enabled a new class of sensors specifically designed for subterranean settings, the need now is for an integrated, non-invasive system that seamlessly manages data from sample prep to detection to modeling and data analytics – and that adjusts in real time. Among other new initiatives funded by the NSF, including 20 related national research projects, a team from Argonne’s Nanoscience and Technology Division, in cooperation with ecologists, will deploy a sensor network at Fermilab next year for a field test. Editor’s note: This story is part of a series that showcases the collaborative research efforts of UChicago and Argonne. Research team studies the compelling connection between one of NIH’s ​“most wanted” bacteria and mental health.